Joseph Spooner’s performances and recordings have garnered high praise from audiences and critics alike. This is recognition not just of the passion and beauty of his playing, but of his success in rediscovering works previously abandoned through ignorance and changing tastes. Yet Joseph’s repertoire encompasses also mainstream classical and contemporary works, facilitating an exceptionally broad and flexible approach to programming. Joseph Spooner came to the cello indirectly, via a degree in Classics at Cambridge, and a doctorate in Greek papyrology at London and Florence universities. During subsequent postgraduate study at the Royal Academy of Music, he embraced traditional repertoire and developed a taste for contemporary and non-standard works. Since then, he has pursued a diverse career, principally as a soloist and chamber musician, and this work has taken him across the UK, from the Baltic to the Atlantic, and from the recording studio to concert platforms in Continental Europe, New York, Russia, Mexico and New Zealand. 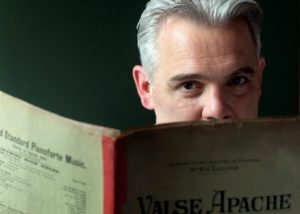 As a soloist, there have been performances of familiar and less familiar concertos (including Dvořák, Leighton, Korngold, Shostakovitch and Moeran); broadcasts from his recordings on BBC Radio 3 and Radio New Zealand; and recital series featuring the complete works for the cello by Bach, Beethoven, Bloch, and the Mighty Handful. 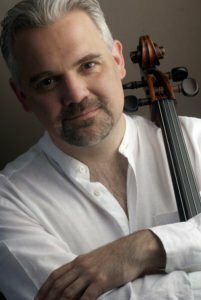 Joseph has worked extensively as a chamber musician, currently with the Summerhayes Piano Trio, and was a founder member of the mixed ensemble Camarada. His work with contemporary-music ensembles (notably Continuum and New Music Players) has included performances at major festivals (among them Huddersfield), broadcasts (BBC Radio 3, Channel 4), several premieres, and recordings of works by Errollyn Wallen and Roger Smalley. Joseph’s deep delving into the cello repertoire has led to the rediscovery of unjustly neglected works. Audiences have greatly appreciated hearing this music, and critics have offered high praise for Joseph’s recordings, noting the initiative entailed and agreeing that these works – by composers as diverse as Alan Bush, Alexander Krein, Michael Balfe, Samuel Coleridge-Taylor, Edgar Bainton, Aaron Copland, George Dyson, and Percy Sherwood – were indeed worth rehabilitating.